Jordan informs Israel that 200 tons of crude oil leaked into the Gulf of Aqaba from Aqaba port and could possibly contaminate Eliat. 200 tons of crude oil leaked into the Gulf of Aqaba from Jordan's Aqaba port on Tuesday, Haaretz reports, raising fears in Israel of possible contamination on Eilat's beaches and harm to its coral reef. 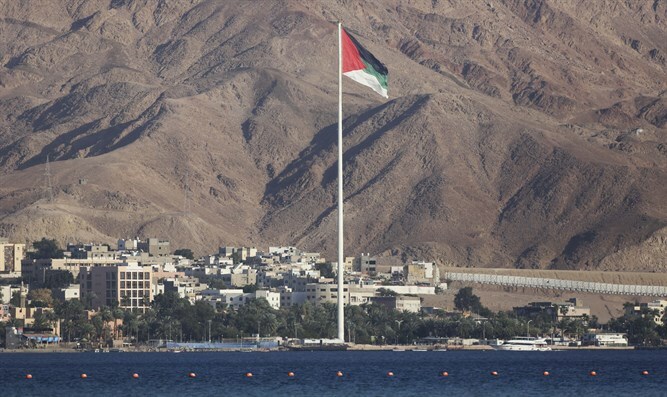 A spokesman for Israel’s Foreign Ministry told AFP late on Tuesday that Jordan has informed Israel of the pipeline leak in the Red Sea. "Israel has been informed of this leak and remains in contact with the Jordanians while standing ready to provide assistance in equipment and personnel," the spokesman said, adding that the Jordanians are dealing with the matter. Israel's Ministry of Environmental Protection began preparations to aid in cleanup and containment, but has yet to receive a request for assistance from Jordan, according to Haaretz. The head of the Eilat Ashkelon Pipeline Company, Erez Halfon, on Tuesday evening turned to the Jordanian authorities through the Environment and Foreign Ministries, and offered them his company’s assistance in cleaning up the oil spill. In his letter, Halfon noted that forces should be joined to prevent any damage to the Gulfs of Aqaba and Eilat, and that company employees have the knowledge, expertise, and skills that are needed, as well as the equipment designed to handle such an event.